Robert E. Lamb, Inc. is a nationwide, industry-leading Architectural, Engineering, and Construction Management firm. Founded in 1917, and specializing in High Reliability and Critical Infrastructure projects since 1969, Lamb has successfully completed over 500 projects spanning all levels of size and complexity. Lamb’s in-house team features Architects and Structural, Civil, Mechanical, and Electrical Engineers who work closely with clients to Plan, Design, and Build facilities that provide the necessary operational and functional requirements, while maintaining reliability and protection from external threats. Typical projects include redundant utility systems, building hardening, increased site security and monitoring, sophisticated user technology requirements, and emergency preparedness provisions. 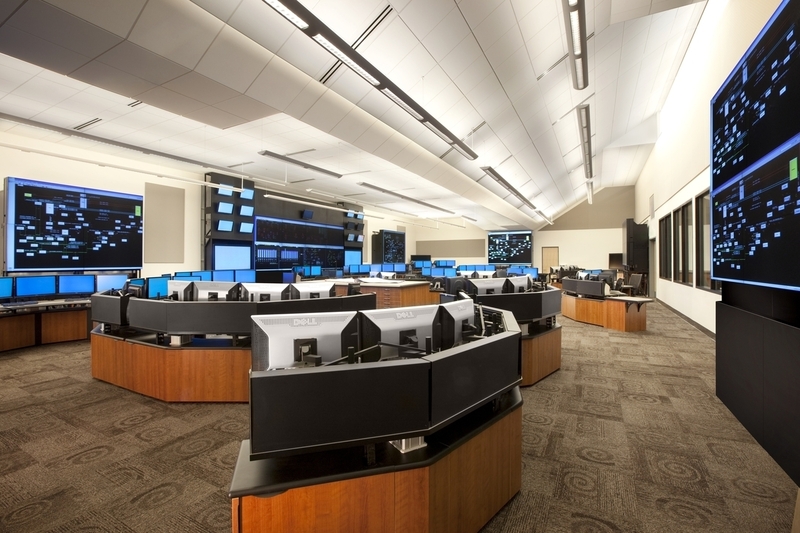 These highly specialized and robust facilities make up the backbone of our nation’s electrical grid, data/communications network, and transportation system. Lamb’s collaboration with Omni-Threat Structures helps to insure the ongoing functionality of these vital facilities in the face of increasing threats. Drye-McGlamery has a combined field and design engineering experience of more than 30 years consisting of three dedicated Professional Engineers. Project experience ranges from, Federal / Department of Defense, Anti-Terrorism and Force Protection (ATFP), Industrial, commercial, multi-family residential, demolition, modification and retrofit design, shoring design, project management in both private and public sectors, inspections, and forensic investigations. This experience has led to a vast knowledge and understanding of the many materials and methods used in construction including steel, concrete, masonry, cold-form, FRP and wood; as well as their regulatory codes. Drye-McGlamery is committed to providing economical designs while maintaining the highest standards and functionality for the finished product. Having project management experience on several time-critical federal, municipal and nuclear projects, Drye-McGlamery coordinates and executes project plans from start to finish in a timely and strategic manner. ETS-Lindgren has more than 75 years of combined company experience and expertise. We were formed by joining a number of leading companies which pioneered many of today's widely accepted products and practices in our industry. ETS-Lindgren continues to maintain its reputation as a leader and innovator. ETS-Lindgren is a subsidiary of ESCO Technologies, a leading supplier of engineered products for industrial and commercial markets. ESCO is headquartered in St. Louis, Missouri, and listed on the New York Stock Exchange with symbol ESE.